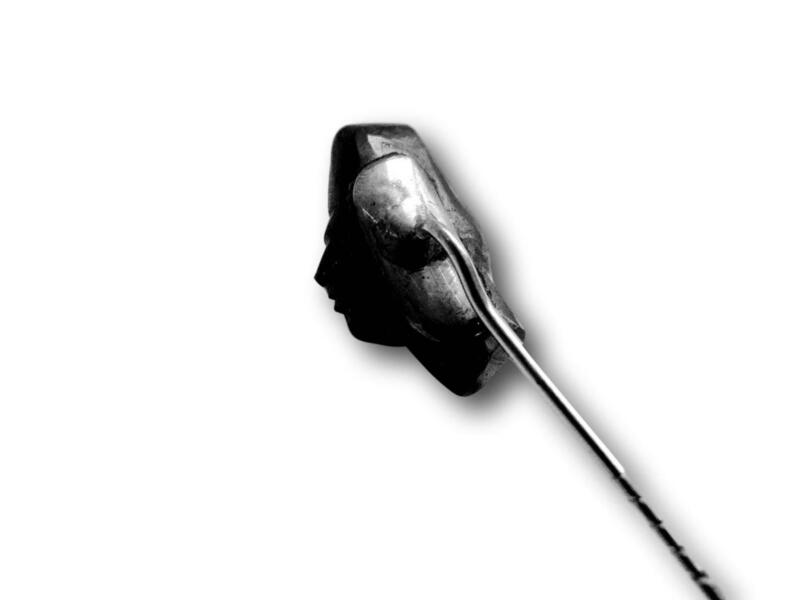 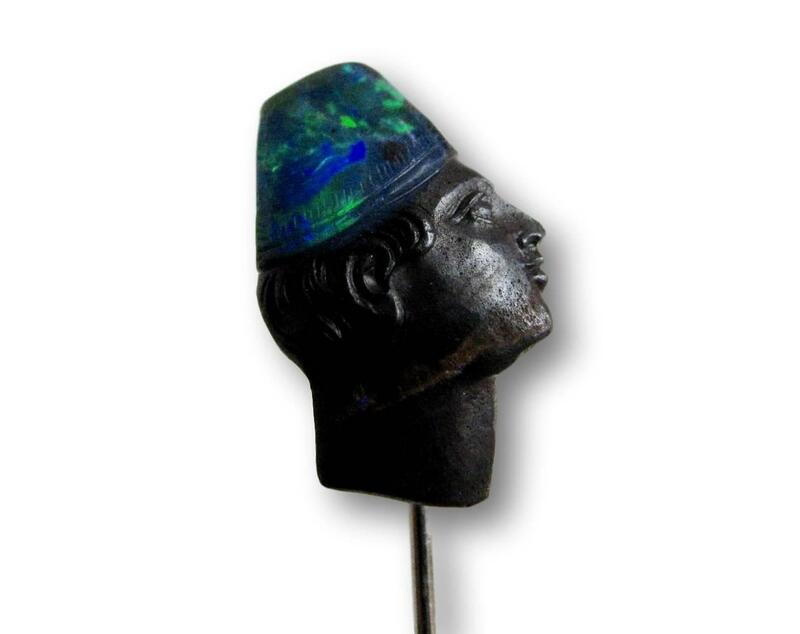 A Handsome Carved Opal Blackamoor Pin. 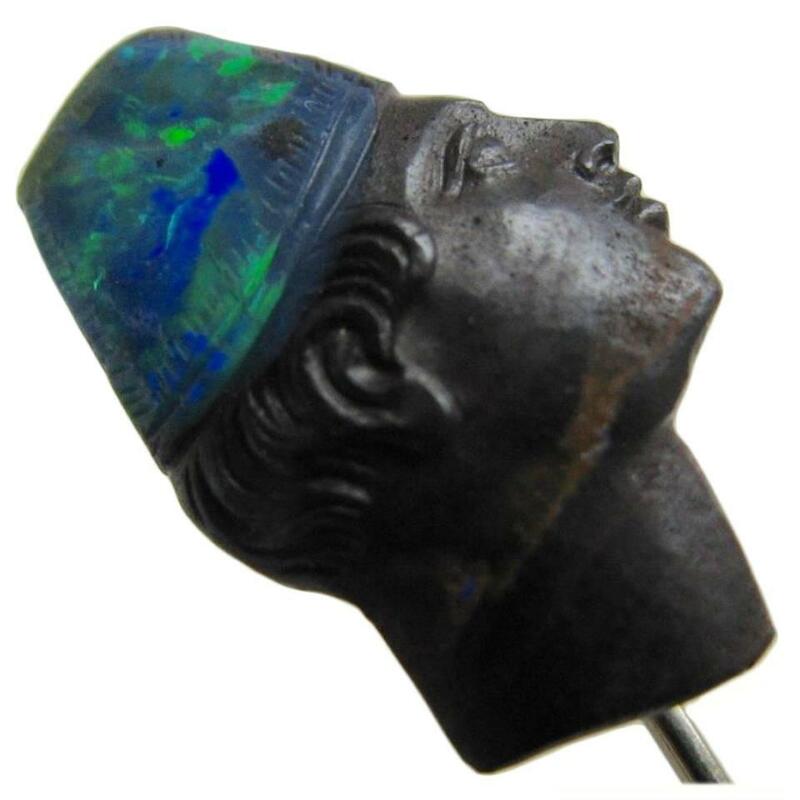 The 5/8″ x 1/2″ Opal carved as a man wearing a Fez, mounted on a silver stickpin.The crisp carving and well planned use of this stone is amazing. 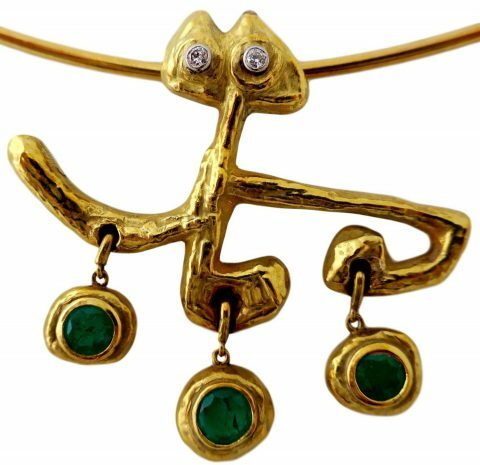 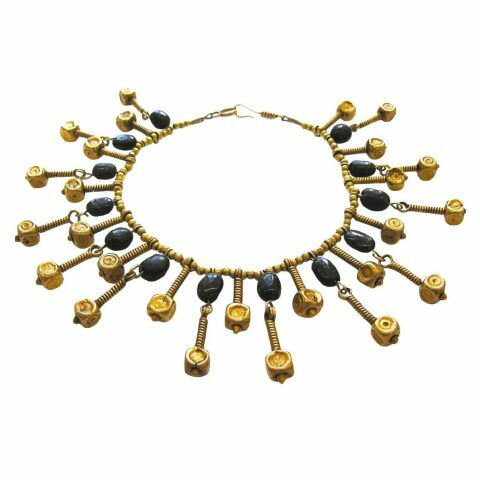 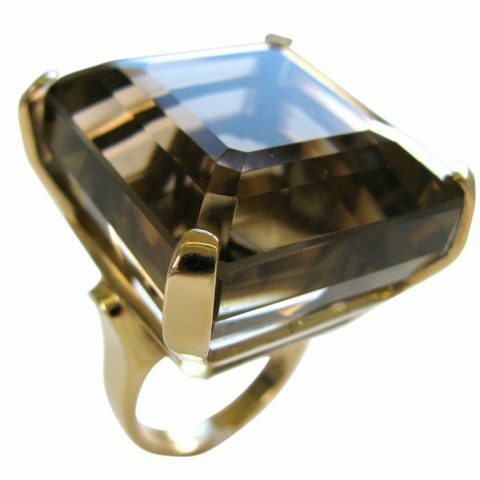 A good-looking and interesting piece of Antique jewelry for either a man or a woman.